This is the last in a three-part series summarizing how a Lawyer can use the principles taught in Dale Carnegie’s timeless classic “How to Win Friends and Influence People” to transform their business from just another law practice something truly extraordinary. In today’s segment, I will review the fourth and last section of the book, outlining 9 principles which will make you a more effective leader. 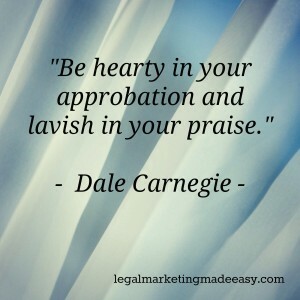 Here are the other two parts of the series: What Dale Carnegie can teach us about building a law practice and How to Win People to Your Way of Thinking. The principles in this section of the book will benefit you not only when dealing with staff, but when arguing a case in the courtroom and also when working directly with clients. Most of these principles seem like just common sense. However, I’ve found that if you are not actively thinking about and working to implement these strategies into your daily life, they are not working for you – and you may in fact be doing harm to your business. 1.1 1. Begin with praise and honest appreciation. 1.2 2. Call attention to people’s mistakes indirectly. 1.3 3. Talk about your own mistakes before criticizing the other person. 1.4 4. Ask questions instead of giving direct orders. 1.5 5. Let the other person save face. 1.7 7. Give the other person a fine reputation to live up to. 1.8 8. Use encouragement. Make the fault seem easy to correct. 1.9 9. Make the other person happy about doing the thing you suggest. Have you ever heard the term “sandwiching”? It’s besically the idea that if you are going to criticize someone or their work, start by finding something praiseworthy with that person. Let them know how much you appreciate their hard work. Then, tactfully, explain to them why their work fell below par on this particular occasion. This is the first principle of effective leadership – begin by giving honest praise and appreciation to the person that you are about to criticize. The basic idea here is to not criticize people directly. How do you do this? I’ll be the first to admit, it is not easy. One way you can do this is to lead by example – don’t ask an employee to do something that you yourself are unwilling to do yourself. Another way to do this is to stop using the word “but” and instead replace it with an “and”. In other words, if you say something like, “you did a great job on this project, but…” the “but” immediately nullifies everything that was said before it. On the other hand, if you were to say, “you did a great job on this project, and in the future I would like you to…” you are not coming off as overly critical. Do you see the subtle difference? Whenever you are in a position to criticize a subordinate, don’t forget to remind them that you have made far bigger mistakes in your career. Back when I worked at an investment firm, prior to law school, I made a mistake with a client account that cost the firm that I worked for $30,000. I frequently use this as an example of my own flaws when getting ready to correct an employee. If an employee of yours makes a mistake, you know it, they know it, other employees might know it as well. Instead of coming down hard on them, let them know that you appreciate their effort, you have every confidence in them, and that you are confident that they will not make the same mistake again. Never kick a dog when it’s down. This is inline with previous principles discussed in the book. 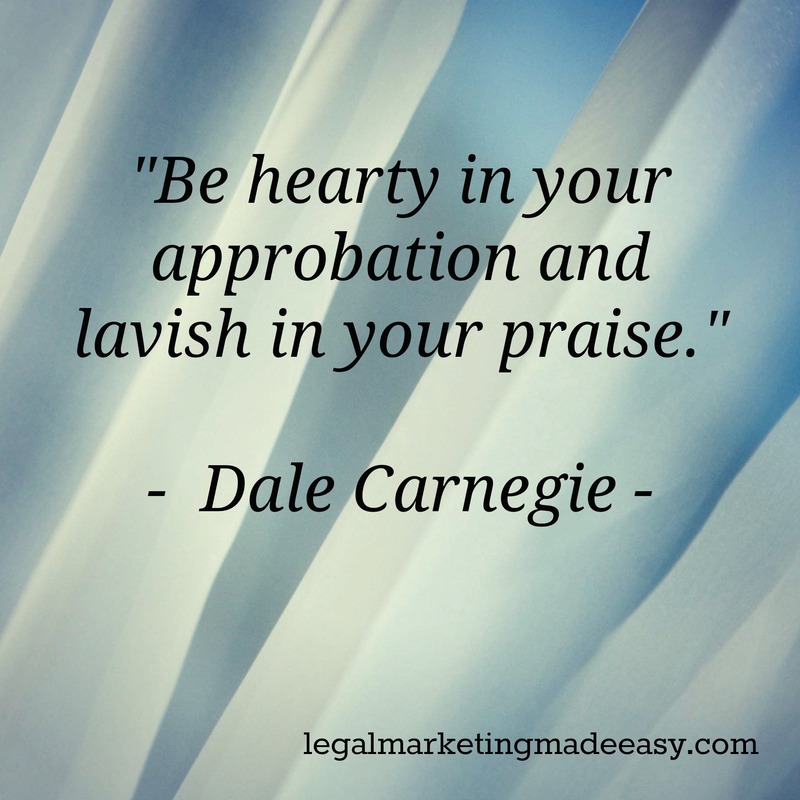 Essentially, adopt the mindset to praise whenever and however you can, even for small wins. We can take the sixth principle of giving lavish praise a step forward – and remind people of something that they are good at. So if you have an assistant that is especially kind and caring with your clients, you will want to praise them publicly with your clients, and let them know how much the clients’ appreciate the care and attention he or she gives to their case. By doing this, you are casually planting the seed of greatness in your employee – and they will flourish as a result. I would argue that most people use this principle on quite a regular basis – especially with children. 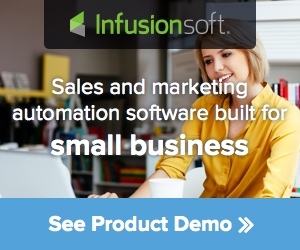 But you can use it with employees or even clients. Remind them that whatever shortcoming they have or mistakes they have made are trivial and easily corrected by taking small action. How do you do this? You must be sincere when you make the request. You must know exactly what is it that you want the other person to do and you must be empathetic in the request (in other words, keep the other person’s wants in the back of your mind). Consider and explain to the person what benefits they will receive by doing the job, and in so doing, make sure you match the benefits to the wants of that person. Finally, when making the request, do it in a way that conveys how that person will personally benefit from carrying out your request. This technique won’t work all the type, but it will certainly increase the likelihood that you will receive compliance.